High St Xray aims to provide a service that is tailored to the needs of both patients and referrers. Accordingly, we provide a number of methods for referring doctors to access their patients’ reports and images. Please contact our clinic to obtain a user name and password or alternatively fill out the following form and return it to the clinic by fax or mail. Request online image access here. 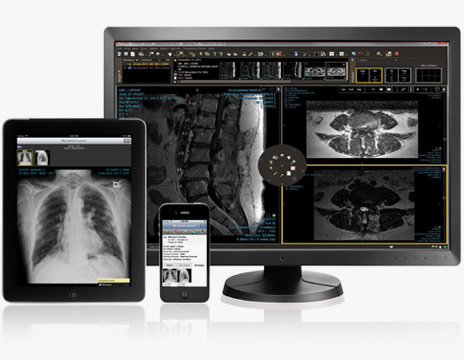 A feature rich DICOM viewer allowing greater interactivity with your imaging. Download the Inteleviewer program onto your computer and enjoy the full functionality of a diagnostic workstation in a desktop environment (PC and Mac). A zero footprint web based client allowing you ease of access and a customisable dashboard to access patient reports and images both quickly and easily. Access your results on the go with the Inteleconnect App which offers streamlined access to the Inteleconnect Web portal via an easy to use iOS App which runs on any iPad or iPhone.